Paradoxical connections between beauty and dark matter in the universe may be explored through stories and characteristics of the archetype Artemis. Although Aphrodite is often heralded as the most attractive deity in the Greek pantheon, the goddess Artemis is noted for her youthful, virginal beauty. 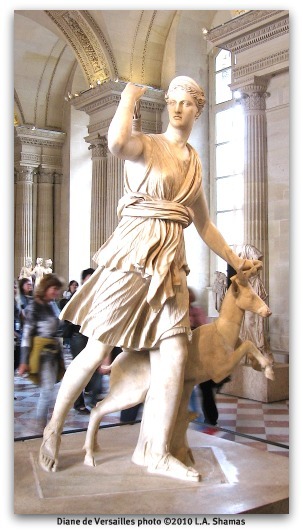 Popular Artemis2, twin sister to Apollo, is known as “Diana” in Roman myth. She’s the “nature girl” archetype, Mistress of the Animals, equally at home roaming meadows, mountains, or forests. The deer and the bear are sacred to her. She’s tall, slim, athletic, and lovely. But Artemis is also “potnia semnotata – mistress most terrible and holy” (Gregory 64). She hunts to kill, and carries her quiver of arrows everywhere. The god Pan gave her a pack of hunting dogs; she usually brings along seven hounds on the hunt. Artemis is the patron goddess of the Amazons, and is often accompanied by nymphs. As a goddess, she presides over the act of birth, and sometimes imposes pain on women who die in childbirth (Grimal 61). “To understand Artemis' divine image we need to somehow see that grace and loveliness most rendered by the poets, together with the awesomeness revealed in her cults of worship” (Gregory 64), which entailed “intensity, darkness, and even savagery” (Gregory 65). 3 Artemis is associated with the moon, “her silver bow a glistening symbol of the lunar crescent” (Andrews 17). Artemis/Diana travels “through the night in a silver chariot drawn by white horses and shot moonbeams through the sky with her silver bow” (Andrews 17). Her evening beauty is illuminated in the darkness of the night sky. The beauty of the heavens--distant stars and galaxies--have long fascinated humankind. We name key stars for gods and goddesses, emblematic of our admiration and celestial aspirations. Even in the twenty-first century, standards of beauty are still colloquially expressed in astronomical terms: “She lights up the room-- a true star.” Movie and television "stars" are international icons of beauty. Scientific research suggests that mysterious dark matter —unseen but evidenced by gravitational pull—occupies the universe like “a sea of invisible particles that fills space unevenly” (Feng and Trodden 40). NASA scientists estimate that dark matter inhabits about 25% of the universe (“Dark Energy”). Historically, scientists have not always been aware of the presence of dark matter, although it is suggested that galaxies and galaxy clusters are haloed with it (“Dark Matter”). Astrophysicists are puzzled by what dark matter is and what it does. “For such a mass of material to elude detection, astronomers reason that it has to consist of particles that scarcely interact with ordinary matter or, indeed, with each other. All they do is provide the platform for luminous matter” (Feng and Trodden 40). Perhaps dark matter is the invisible scaffolding underpinning ordinary matter: if that is so, you cannot see light without the unheralded and difficult-to-observe presence of dark matter. In “Dark Worlds,” from the November 2010 Scientific American, physicists Jonathan Feng and Mark Trodden explain one theory which suggests that “dark matter may be accompanied by a hidden weak force or, even more remarkably, a hidden version of electromagnetism, implying that dark matter may emit and reflect hidden light” (45). Ginette Paris writes of Artemis: “The myth even makes her a Goddess whose beauty should not be exposed to human sight, as if to signify that this beauty exists for itself. The myths associated with Artemis suggest that one may hear her or sense her presence, but that it is dangerous to violate her, even with the eyes” (114). Artemis demands that her beauty not be contemplated by mortals nor reflected in mirroring waters. It is not a beauty to be shared. Two tales of Artemis are relevant to the exploration of connections between aspects of beauty and properties of dark matter. The first story involves the hunter Actaeon. One day, Artemis was bathing in a pure spring, secluded in the forest with her nymphs. Actaeon, hunting in the woods with his fifty hounds, came upon the ravishing goddess and her enchanting female entourage. He hid, watching them as they bathed, but Artemis discovered him. Angrily, she turned the hunter into a stag, and then set his fifty hounds loose upon him. Since Artemis had transformed him into a deer, the dogs didn’t recognize their master. They ate him: “…then hunted for him in vain throughout the forest, which echoed with their howls” (Grimal 10). The second story involves the river god Alpheus, who was enamored with Artemis. Frustrated that he could not have her through “proper channels,”Alpheus schemed to kidnap the wild nature goddess. At a festival at Letrenoi, Alpheus went to see Artemis. But she got wind of his plans, and disguised herself. Artemis covered her visage with mud and was able to escape undetected--as Alpheus didn’t recognize the deity in her mask (Grimal 35). In the myth of Artemis and Actaeon, the hunter is killed after witnessing the goddess and her beauty mirrored in the spring; in the second story, Artemis’s beauty is masked, by the hands of the goddess herself, and thus remains undiscovered. Like dark matter in the universe--existing but unseen, hidden yet revealed synecdochically by its density--Artemis insists that her loveliness remain a celestial secret: her extraordinary beauty seemingly known only to the gods, or perhaps the Amazons. Beauty is best, in Artemisian terms, if it is unsung, unseen, and self-avenged if transgressed (e.g. the goddess will hunt the beauty-seeker). Gregory, in her essay “Artemis,” says that the deity i s “bewildering” in the true sense of the word, in that the goddess leads us to the wild, the unknown, the undefined, “as opposed to the civilized” (66). The sphere of Artemis’s beauty is paradoxical. It’s there, but you can’t see it. Hidden, it lights up the universe, the heavens. The search for proof of dark matter in the universe is also paradoxical. “How to see the unseeable…So far everything astronomers know about dark matter comes from its gravitational effects on visible matter. But they need to detect it directly if they are to find out what it is. That will not be easy: dark matter is elusive by definition. Nevertheless… thousands of researchers are looking” (Feng and Trodden 44). As Artemis will hunt and kill the beauty-seeker, thus defining an aspect of self-protection and retaliation directly related to her pulchritude, so dark matter has a relationship with destruction. Through the “titanic collision” of galaxy clusters, dark matter may become separated from ordinary matter; images of this have been captured by the Hubble Space Telescope (“Dark Energy”). Through the lens of astronomy and the search for dark matter, the aesthetics of Artemis’s beauty may be explored in fresh ways. Parallels and paradoxes in the myths of Artemis and the celestial search for dark matter point to a heavenly beauty that eludes observation; an invisible force (and perhaps an aesthetic) true to itself, that defies current categories of function and purpose; a gravity that reveals its significance, as it emits hidden light which defies reflection; a prettiness that can evoke destruction; a pure loveliness that exists beyond our comprehension and imaginations; and whose anomalies are mere glimmers of shimmering worlds we cannot know. 1. "The Second Hymn to Artemis,” The Homeric Hymns. 5. 3.“At Patrae the festival Laphria included a procession in which a virgin priestess rode in a chariot drawn by deer and the holocaust sacrifice of many animals; these were thrown alive into the altar enclosure, and included wild animals such as deer and boar, which were not normally sacrificed in Greek religion” (Sourvino-Inwood 184). Human sacrifice was also part of her cult rituals, such as at Tauris (Grimal 62). Andrews, Tamra. A Dictionary of Nature Myths: Legends of the Earth, Sea and Sky. Oxford: Oxford UP, 1998. “Artemis.” “Greek Gods” phone application. Godchecker.com. 14 December 2010. “Dark Energy, Dark Matter.” NASA Science. 4 January 2011. http://science.nasa.gov/astrophysics/focus-areas/what-is-dark-energy/. “Dark Matter.” Wikipedia. 15 December 2010. http://en.wikipedia.org/wiki/Dark_matter. Feng, Jonathan and Mark Trodden. “Dark Worlds: A Shadow Cosmos In Our Midst May Be as Dynamic as the Visible One.” Scientific American, November 2010, Volume 303, Number 5. 38-45. Grimal, Pierre. The Dictionary of Classical Mythology. Trans. by A.R. Maxwell–Hyslop. Oxford: Blackwell, 1996. Gregory, Eileen. “Artemis.” The Olympians: Ancient Deities as Archetypes. Joanne H. Stroud, Ed. New York: Continuum, 1996. 64-75. The Homeric Hymns, Charles Boer, trans. Woodstock, CT: Spring Publications, 1970. Paris, Ginette. Pagan Mediations: Aphrodite, Hestia, Artemis. Gwendolyn Moore, trans. Woodstock, CT: Spring Publications, 1997. Sourvinou-Inwood, Christiane. “Artemis.” The Oxford Classical Dictionary. Hornblower, Simon and Anthony Spawforth, eds. Third Edition. Oxford: Oxford UP, 2003. 182-184. 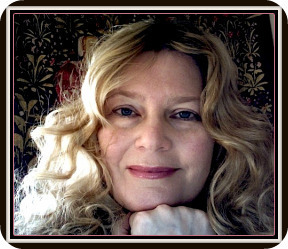 Laura Annawyn Shamas, Ph.D., is a writer and mythologist. Her study on female trinitarian archetypes, "We Three": The Mythology of Shakespeare's Weird Sisters, is published by Peter Lang (2007). 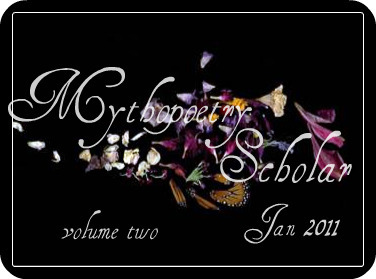 Her essay "Aphrodite and Ecology: The Goddess of Love as Nature Archetype" was published in Ecopsychology, Vol. II, June 2009.